I've tried a bunch of them now, but am finding the 'activity analog' pictured below is my favorite (so far). What's your favorite? For complications I have the battery indicator top left, workout top right, and local weather at the bottom. My current fave. Does anyone else notice their activity coming in spurts? As much as I try to move around at work, it's difficult, but after work I usually end up filling my circles. That's a good one too. Started with that one for my first few days with the watch. Haven't noticed the rings updating in spurts... if I need to force an update I open the activity app! I like the activity digital but have been using the Nike+ digital for the last few days. I use a battery, activity and date complications. If I have more options, weather underground gets added. Th Utility watch face is probably my favorite. It is definitely my most used watch face. Mine is the same as James Falconer is using (although with yellow (volt) hour markers having the Nike model). I do like the variation that @Jmerrey is using too. 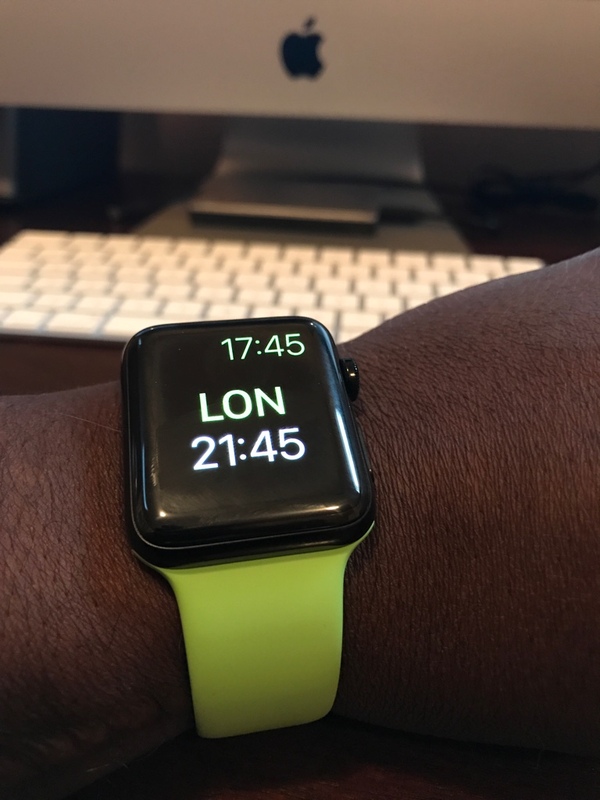 I still mostly use the Utility watch face — I like its simplicity. I almost always use Modular, but working on my rings now I may use the Activity Analog face to make sure I don't miss out. Already had one day this month (11/1!) that I came up just short. No badge for me, I guess! It's so easy to change Watch faces that I use several, sometimes changing them two or more times a day. Love the Nike digital face. I do wish they would update it so I can change out the Nike app shortcut on there. Similar. I try to get a walk in at lunch but not always successful. But after work I go on walks as often as I can. I feel the same way. Would love to put a different complication there. jmerrey and sgchick like this. Butterfly2, Anastayja1, Closingracer and 1 others like this. What weather complication is that? Carrot? Just tried Carrot. That's not it. Dark Sky. Sometimes it shows the temp, sometimes upcoming conditions. I'm not sure what determines it. I tend to bounce back and forth between the two now. Like 'em both, not sure which one I'll settle on. For me it depends. If I've got appointments/meetings/etc., then I'll use Modular. If not, then I prefer Activity Digital. If I'm at a party/social occasion, then I like to rock Mickey. I don't care for any of the Nike+ faces. How many miles did your Apple Watch travel to get to you?